20th century built model depicting "Polarskipet FRAM - Rekkevik". Built by Colin Archer 1892 and used by Fridtjof Nansen and Roald Amundsen. Scale: 1:50. Size: Length 103cm, Height 83cm. 20th century sailor-made model depicting the deckhouse of the Swedish cargo vessel GERDA. Mid 20th century built model depicting the Russian battle ship "IMPERATOR ALEXANDR III". Built 1899 for the Russian Imperial Navy by Baltic Works, St. Petersburg . Launched on August 3rd 1901. Mounted in a glass case. Size (case): 136x38cm, Height 70cm. 20th century built model depicting Alfred Nobels aluminium-hulled sloop"MIGNON" built 1892 by the Swiss company Escher Wyss AG. The worlds first aluminium boat and one of the first naphtha/vapor launches. 20th century built model depicting the British clipper ship "CUTTY SARK", built 1869. Mounted in a glass case. Size (case): 7x21cm, Height 17cm. 20th century built model incl crew. Depicting the Swedish Navy sail-training schooner HMS GLADAN, built in 1947. 20th century built waterline-model incl crew. Depicting the Swedish Navy sail-training schooner HMS FALKEN, built in 1947. 20th century built model. Depicting HMS HAJEN, Swedens first submarine built in 1904. 20th century built model. Depicting the schooner SVERIGE (Sweden) built in 1852 by Johan Fredrik Andersson at Lilla Essingevarvet in Stockholm. SVERIGE was the challenger for winning the America's Cup. Early 20th century clinker-built model. Depicting a "Strömmingsjägare" (herring hunter) of Vaxholm. 20th century built model. Depicting the French 8 meter sloope MAÏTA designed by Dyèvre in 1899. 21st century built half-block model depicting SVALAN, designed by Ruben Östlund and built at "Lidingö-varvet" 1928. Mounted on painted wooden panel. 21st century built half-block model depicting WIKING IX, designed by CG Pettersson and built by Gustavsson & Andersson at "Lidingö-varvet" 1922. Mounted on painted wooden panel. 21st century built half-block model depicting a Pettersson-racer built in 1917. Mounted on teak panel. Late 19th century built half-block model depicting a passenger and mail steamer. Mounted on mahogany panel. Early 20th century sailor-made model depicting the Swedish top-sail schooner VINGA. 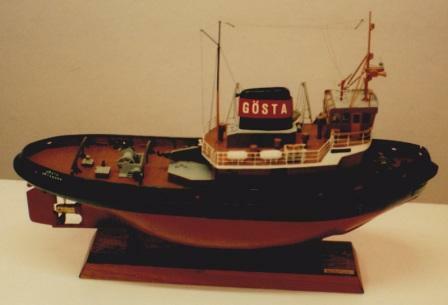 20th century built model depicting the Swedish tugboat GÖSTA of Göteborg. 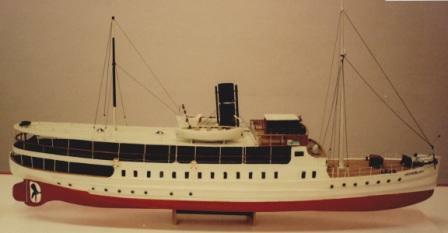 20th century built model depicting the Swedish passenger steamer BOHUSLÄN of Göteborg. 20th century sailor-made model depicting the chef working in the galley. 20th century sailor-made model depicting a 1935 Swedish American Line M/S GRIPSHOLM third class cabin. 20th century built rowing boat. A typical "Lodja" from the island Runö, Stockholm Archipelago. Built 1981 by Strömfelt. Early 20th century sailor-made diorama. Depicting the British full-rigged ship MARY at anchor together with approaching tug-boat. Mounted in origianal wooden case. 20th century sailor-made waterline-model. Depicting the fullrigged Swedish ship VANADIS of Söderhamn. Mounted in origianal case. Signed Hugo Wernbøe 1930. Late 19th century sailor-made diorama. Depicting a fullrigged ship together with a pilot-boat, a naval vessel and a lighthouse. Mounted in origianal case. 20th century sailor-made model. Depicting the Swedish brig HELGA of Hudiksvall, built in the 1890's. Model made by O.M. Stark, Hudiksvall, in 1931. Restored by Petrus Boman, Sandhamn in 1969. Mounted in origianal case. 20th century built model depicting the Finnish cutter GARD of Kimito. Mounted in case. Early 20th century sailor-made model depicting the Swedish three-masted barque INGEBORG. Abandoned and overgrown after several years of neglectance, 20th century model. Mounted in a glass case. 21st century built model depicting a "Kullbåt", a typical rowing boat used on Stockholms Ström in the 19th century. 20th century built model depicting the Swedish wooden cargo boat MIAN. Used for transportation in Stockholm's archipelago. Mounted on wooden base. 20th century built model depicting a Swedish wooden cargo boat, as used in Stockholm's archipelago for transportation of sand. Built by Albert Pettersson (Alpe), Norrtälje, in 1970. Early 20th century Swedish clinker-built wooden model depicting a "Gotlänsk Tvåmänning" (typical boat used on the island Gotland). 20th century clinker-built wooden dinghy, mounted on wooden base. 20th century metal built model / cigarette lighter, mounted on wooden base. Depicting the British freighter Alice-London. Early 20th century carved wooden model. Early 20th century built wooden half-block shipyard model in scale 1:64. Depicting the destroyer WALE built at Kockums Shipyard, Malmö Sweden in 1907. 21st century built model depicting the "Kullbåt" HJORTEN, a typical "woman powered" paddle boat used on Stockholms Ström in the 19th century. Røken & Hurum), built by Akers Mek. Vaerksted (No 139). 20th century built J-class model depicting the YUM, originally built in 1898 and designed by W. Fife Junior. 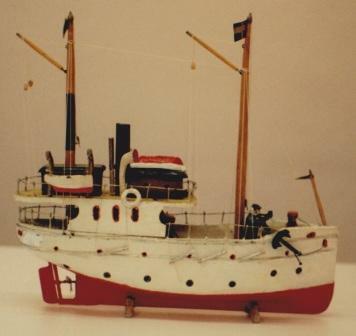 Early 20th century sailor-made model depicting a coastal steamer. 20th century built model depicting a Swedish Royal ship. 20th century built steam-powered wooden sloop. Complete with individually-built and functional steam engine. 20th century clinker-built and copper-riveted wooden sailing boat with spritsails. A very fine and detailed early 19th century prisoner-of-war bone model of a 98-gun ship-of-the-line. Mounted in wooden carrying case applied with coloured straw, also made by prisoners-of-war. Furnished with mirrored back panel to inspect the far side of the model. Minor defects. Late 19th / Early 20th century waterline model depicting the Swedish 4-masted barque LA SUÈDE of Helsingborg in full sail. Sails made of metal sheet. Early 20th century carvel-built, gaff-rigged and copper riveted wooden sailing boat. With tiller made of bone. Early 20th century sailor-made wooden steam boat (without engine). 20th century built model depicting the Swedish cargo vessel M/S CEYLON, Scale 1:150. Built by AB Eriksbergs Mek. Verkstad Gothenburg 1950 for AB Svenska Ostasiatiska Kompaniet, Gothenburg. Mounted in glass case. 20th century built model depicting the Swedish cargo vessel M/S BURMA, Scale 1:150. Built by AB Eriksbergs Mek. Verkstad Gothenburg 1952 for AB Svenska Ostasiatiska Kompaniet, Gothenburg. Mounted in glass case. 20th century German WWII warship KARL GALSTER. Mounted in glass case. 20th century Swedish Navy destroyer depicting "JAGAREN HMS GÄSTRIKLAND", built by Götaverken (Gothenburg, Sweden) in 1959. Scale 1:145. Mounted in glass case. 20th century Swedish Navy destroyer depicting "STADSJAGAREN HMS STOCKHOLM". Mounted in glass case. 20th century German WWII minesweeper. Mounted in glass case. Late 19th century sailor-made diorama depicting the Swedish four-masted barque ADA together with pilot and tug boats. Late 19th century sailor-made diorama depicting the British steam vessel KETURA. 20th century yacht-model depicting the sailing yacht SILJA 1929, Scale 1:20. 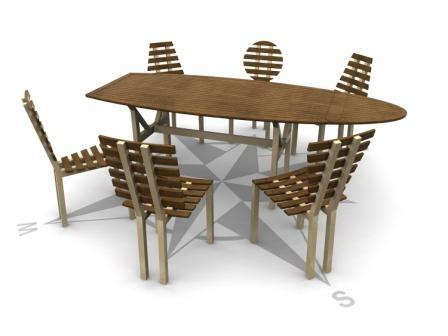 Designed by Johan Anker. Early 20th century built pond yacht model. Late 19th century built pond yacht model. Late 19th century built pond yacht model FAIDA. Early 20th century sailor-made Swedish three-masted schooner MARGARETA. 20th century built model depicting the full-rigged Norwegian sail-training vessel CHRISTIAN RADICH of Oslo. Mid 20th century clinker-built oak model depicting a Swedish "Blekinge-eka". 20th century clinker-built and gaff sail-rigged open coaster type model equipped with compression-ignition engine. 20th century built steam-powered wooden sloop NORA. Complete with individually built and functional steam engine. Early 20th century sailor-made illuminated diorama. Depicting the well-known four-masted barque PAMIR. Mounted in origianal case. 20th century built steam-powered wooden sloop ELIN. Complete with individually built and functional steam engine. 20th century built Norwegian steamship D/S SKJERGAR of Bergen (c/o Børøysund). Mounted in glass case. Size (case): Length 50cm, Width 18cm, Height 28cm. 21st century built 47 feet Norwegian trawler T.14.TS.Mounted in glass case. Size (case): Length 21cm, Width 13,5cm, Height 19,5cm. 20th century built model depicting the Norwegian Sea Rescue vessel R.S. No 1 COLIN ARCHER. Built in Larvik 1893. 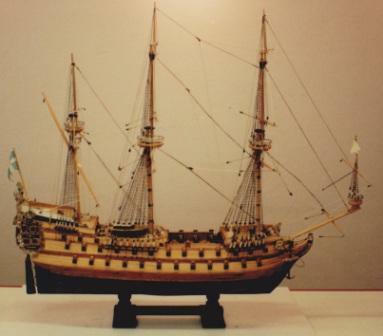 Model built by S. Orsman, Scale 1:30. Size: Length 61cm, Height 67cm. 19th century sailor-made fullrigged model. Mounted in glass case. 20th century clinker-built model depicting a Nordic Folkboat (Folkbåt). 20th century built model depicting ELSIE of Gloucester, Massachusetts built 1910. 20th century built model depicting "MÄLARTRETTIAN M15", Scale 1:15, designed by Lage Eklund 1933. 19th century sailor-made model depicting the Swedish 4-masted barque EJGENIA, flying the Union Flag. Painted background depicting coastal scenery and French steamer COLUMBIA. Mounted in glass case. 20th century built model depicting the Swedish sailing vessel META of Stockholm. Mounted in glass case. Early 20th century sailor-made model depicting the full-rigged ship DIANA. 20th century clinker-built model depicting "Vedjakten GRETA LINNEA" of Blidö. Scale 1:30. 20th century built model depicting the Swedish freighter M/S MARGARET JOHNSON built 1928 (rebuilt 1948) by Aktiebolaget Götaverken, Gothenburg for Rederiaktiebolaget Nordstjernan, Stockholm. Scale 1:135. Incl framed copy of original drawing (102*55cm). Mounted in glass case. 20th century built model depicting the Russian gun-boat MANDZHUR, built 1886 by Burmeister & Wayne Shipyard, Copenhagen. Scale 1:100. Incl ships history. Mounted in glass case. 20th century built model depicting the ENDEAVOUR, built 1934 by Camper & Nicholson. Scale 1:50. 20th century built model depicting the Norwegian sloop MATHILDE of Bergen. 20th century built model depicting the Norwegian GJøA, Roald Amundsens North West passage sloop built 1872. Scale 1:35. 20th century built model depicting the Royal Norwegian Yacht SIRA, built 1937and designed by Johan Anker. Scale 1:20. Incl original part saved during SIRAS restauration. 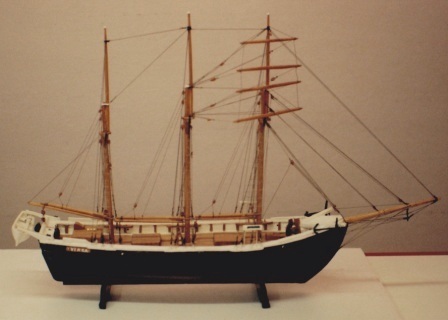 Early 20th century sailor-made model depicting a three-masted barque. Late 19th century sailor-made model depicting the three-masted barque EDITH flying the Swedish-Norwegian Union flag. 20th century built steam-powered wooden tug-boat ELIS. Complete with individually built and functional steam engine. Early 20th century sailor-made diorama depicting the German three-masted barque DORA and the lightship BÜLK. Early 20th century sailor-made diorama depicting the full-rigged Swedish ship IRIS. Signed R. Sandgren 15/4 1903. 20th century built waterline model depicting a full-rigged vessel in heavy sea. With working crew aloft. Signed H.B. 1968. Mounted in glass case. 20th century built model depicting a fisherman's home and boathouse (with detachable roofs) on the island Nämndö of Stockholms archipelago. Built 1965-67. Signed H. Biärsjö. Mounted in glass case. Early 20th century sailor-made model depicting a four-masted barque, cable ship and rowing boat. Mounted in glass case. 20th century built wooden model depicting the Swedish motorsailer GETE. Battery driven engine missing. Early 20th century sailor-made diorama depicting a Swedish full-rigged ship. 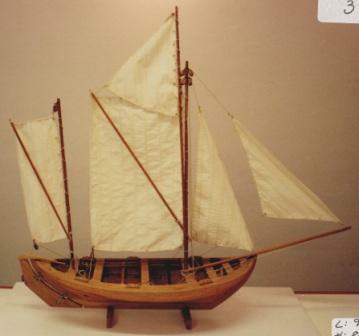 Early 20th century built wooden model depicting a two-masted gaff-rigged yacht. 20th century built model depicting the Swedish Navy Motor Torpedo Boat T53, built by ÖVS Stockholm in 1956. 20th century clinker-built and spritsail-rigged open coaster type model equipped with compression-ignition engine. 20th century clinker-built and gaff sail-rigged open coaster type model. Early 20th century built model depicting the Swedish Brig AMAZONE built 1876. Mounted on wooden base. Late 19th century built diorama depicting the British mail-steamer J.W. Corset. "Prepairing hull and engine for a new exciting season." 20th century model depicting boat-yard scenery. Size: 41*20cm (base), Height ca 15cm. 19th century built original wooden half-block shipyard model in scale 1:100. Depicting the "1 Klass Pansarbåt GÖTA" (Swedish Navy Iron Clad HMS GÖTA), launched at Lindholmen Shipyard, Gothenburg Sweden in 1887. 1930/40 wooden powerboat model, fitted with functional engine. Incl originial key. 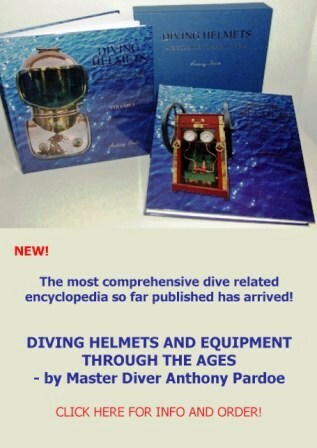 "Professional hard-head diver at work." 20th century model depicting skipper Gösta in the wheelhouse. Size: 21x15cm (base), Height 18,5cm. "Early spring boat-yard scenery engaging father and son". "Able seaman Bertil painting starboard side". 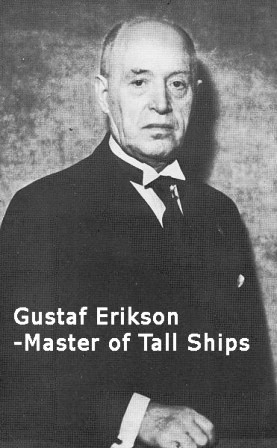 "Helmsman Ragnar keeping her on steady course". Late 20th century built mahogany model depicting a C.G. Pettersson-racer from 1917. With a 60 hp Buffalo engine. 20th century sheet-metal motorboat model. Fitted with inboard engine. Late 19th century original wooden half-block shipyard model in scale 1:32. Depicting the Swedish Navy gun-boat HMS SVENSKSUND, launched 1891 by Kockums Shipyard, Malmö Sweden. 20th century original wooden half-block shipyard model in scale 1:100. Depicting a planned Swedish coastal defence vessel presented in 1938. "Kurt. doing the hard work"
"Bosun Rune at work, splicing a hawser." steam drifter FORMIDABLE, built in Lowestoft Suffolk 1917. Scale 1:40. 20th century built model depicting the wellknown heavy frigate USS CONSTITUTION built 1797. Late 19th century built pond yacht "SUNBEAM". Early 20th century built diorama depicting a Mediterranean sailing vessel in full sails. 20th century built model depicting a "Motorlotskutter", a Swedish wooden pilot boat built 1939. Scale 1:20. "Pelle aloft in the Bosun's chair"
"Deck hands clear up the steamers cargo hold." "Donkey-mans first hand at work." "Two-knots Willie on his way"
"Messdeck - Time for supper"
"Depicting late 18th century salvage of naval cannons"
"Third officer keeping her steady"
20th century built model depicting the steam-powered paddle steamer BRAGE, flying the Swedish-Norwegian Union Merchant Flag. Complete with individually built and functional steam engine. 20th century built model depicting the steam-powered tug ELDE, flying the Swedish-Norwegian Union Flag. Complete with individually built and functional steam engine. 20th century built model depicting the steam-powered sloop VIOLA, flying the Swedish-Norwegian Union Flag. Complete with individually built and functional steam engine. Depicting the four-masted barque ALA FRANCKE under full sail with steam-tugboat ÄRLA. 20th century built model depicting the Swedish torpedo boat GONDUL, built 1894 at Karlskrona Naval Shipyard. Flying the Swedish-Norwegian Union Flag.